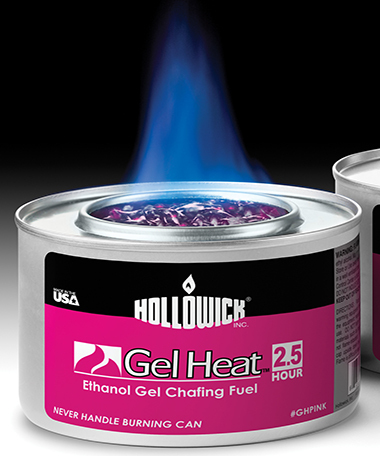 Hollowick's gel chafing fuel comes in either Gel Heat Pink (Ethanol) or Gel Heat Blue (Methanol), or Gel Heat Green (Ethanol) These products are easy to use, clean burning and leave virtually no residue. 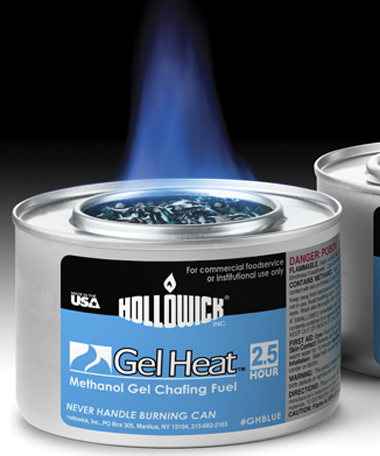 All our gel products are Made in the U.S.A. from the highest quality raw materials. 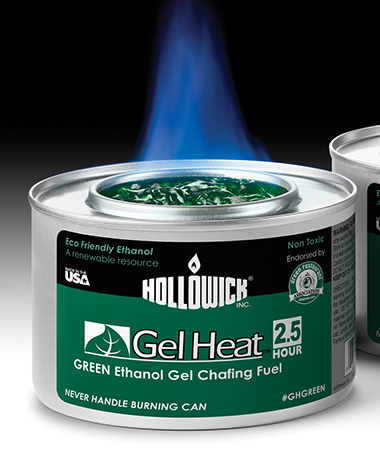 These products are packaged in seamless cans… no danger of welds or seams to split, rust-free and 100% recyclable. Cartons are also produced from recycled material and are recyclable as well.